Though not as popular as hamsters, rats are finding favor as pets with more people these days. Hamsters and rats are different both in characteristics and behavior. While some people may be squeamish about owning rats, they can be a better option for a number of reasons. Take time to understand how these pets differ so that you choose the right pet for you and your family. Hamsters are much smaller than rats. If you have small children in the home, hamsters can be more difficult to handle. The lifespan of hamsters and rats is roughly 2 to 3 years, though some rats have lived up to 5 years. Of course, lifespans can vary depending on the level of care provided. Hamsters come in a variety of colors and patterns, while rats are usually brown, white, gray or black. Lastly, rats have a long tail, where hamsters have short, stubby tails. If you're looking to purchase more than one animal, rats are the best option. Rats love being paired together because they're social animals. Not so much, with hamsters. Syrian hamsters will fight until one dies -- and in some cases the victor will eat the other hamster. Dwarf hamsters sometimes get along when paired together early in life, but it can still be risky. The only hamsters who thrive in pairs are robo hamsters. Hamsters and rats both enjoy interacting with humans, however. Rats can even be trained to perform simple tricks. Both hamsters and rats need their cages to be spot-cleaned on a daily basis to remove soiled bedding and old food. Cages should be filled with a safe bedding that is odor- and moisture-absorbent. This includes wood pulp and recycled paper bedding. Avoid pine and cedar bedding as both can trigger upper respiratory infections in rats and hamsters, which can prove fatal. Both pets will need a balanced diet of hamster or rat food, as well as fresh fruit and vegetables. 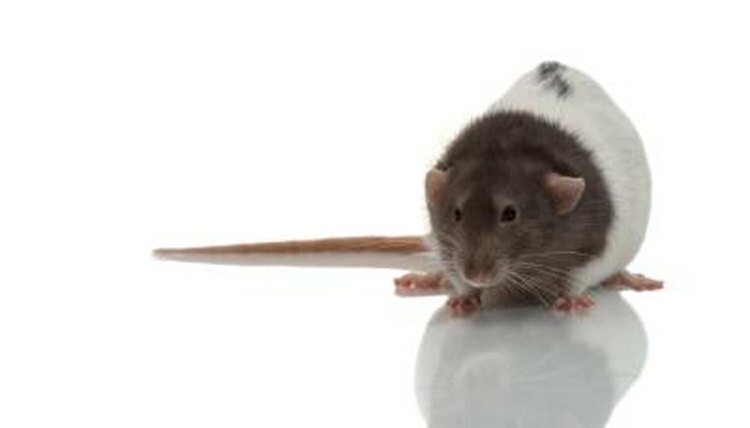 Rats rarely bite, which makes them a better option for homes that have small children. Hamsters are much more likely to bite until properly socialized. Hamsters may be small, but their teeth will break the skin. Rats, on the other hand, would rather flee than fight.